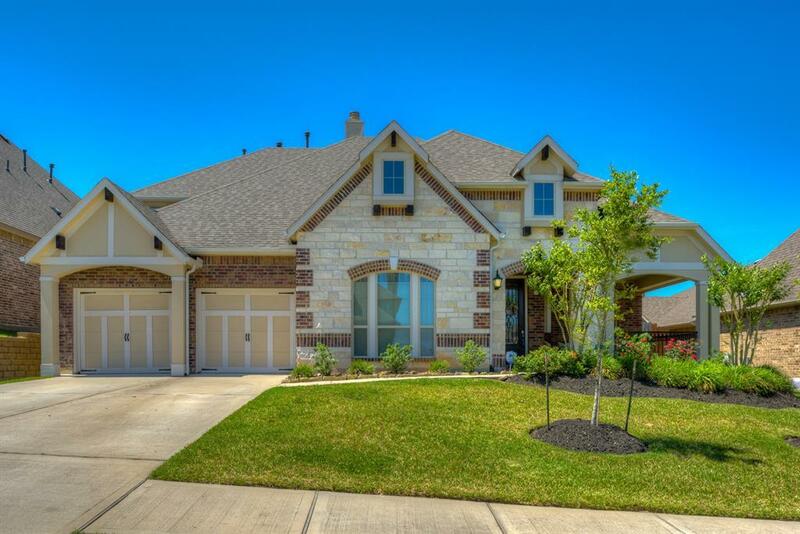 Stunning 1.5 story Emerald home in Jacobs Reserve Pecan Grove pristine barely lived in with luxury custom details. 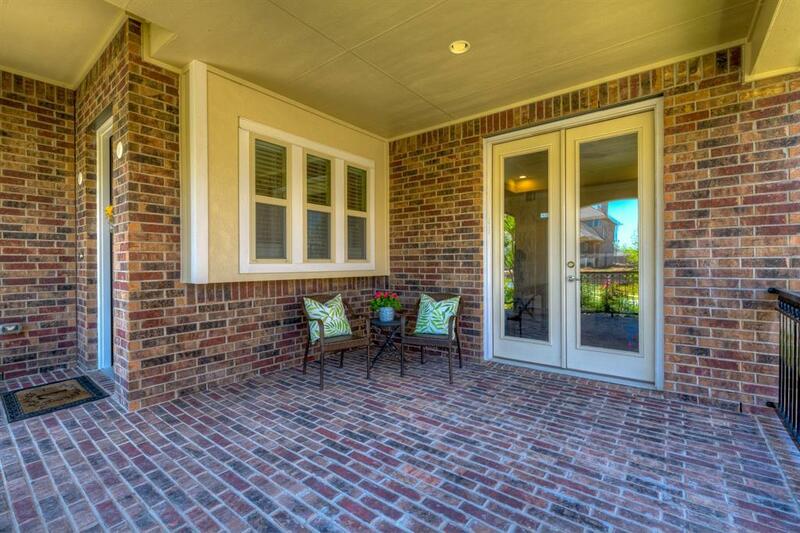 Giant covered front patio with french doors off the study. Open family room,stone cast fireplace, high ceilings, flows perfectly into the large island kitchen with beautiful granite and backsplash, stainless steel appliances. Lots of cabinets walk in pantry. 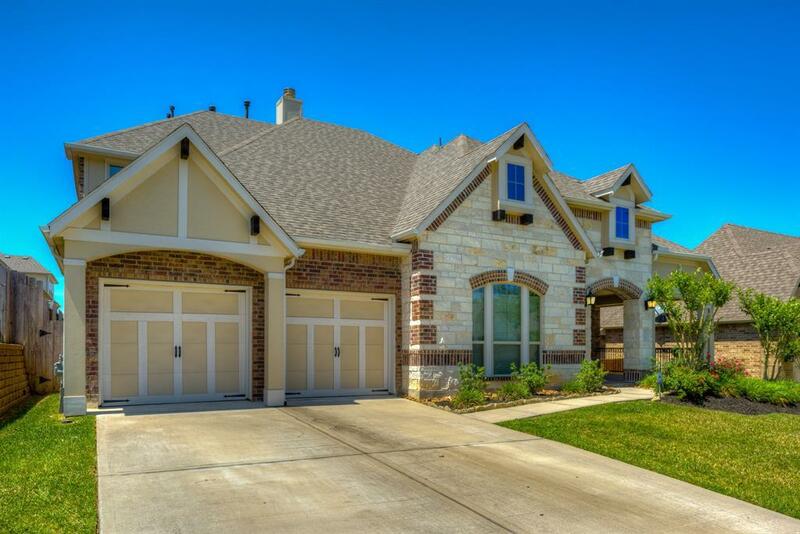 large breakfast area Huge Master bedroom suite with coffered ceiling, master spa like bath with large seamless shower double sinks and beautiful mirrors, 2 spacious bedrooms also on 1st floor with full bath and 1/2 bath. Gameroom and Media room on second floor, guest bedroom and full bath. 2 car garage with epoxy flooring currently being used as a gym. Great covered patio for outdoor entertaining. Along with all amenities the community has to offer. 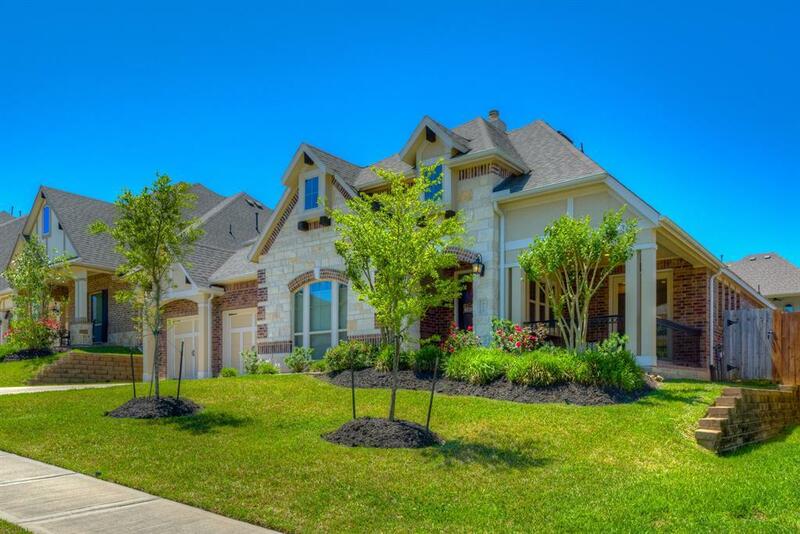 Zoned to Woodlands Schools MUST SEE! !